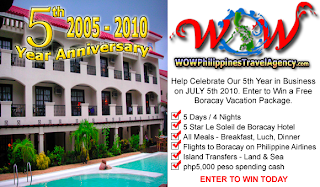 Win a Free Boracay Vacation Package!! I really wanted to go to Boracay but due to our financial situation, I wasn’t able to do so. Now, I got so excited when I saw that WOW Philippines Travel Agency is giving away a Free Boracay Vacation Package! So, I immediately grabbed the opportunity! I decided to join the contest! This might be our chance to celebrate our 10th year wedding anniversary at Boracay! It’s really such a great news for Filipinos. Now the financial condition would not abstract the desire of vacations. 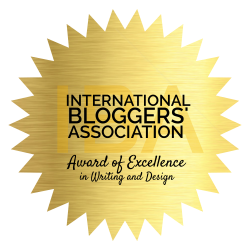 ur blog is really nice and interesting. I just wanna suggest that u should go for blog advertising & marketing there is a website which is offering very unique features at affordable prices. There are Expert advertising teams who will promote ur blog & affiliate ads through all over the networks. All u have to do is submit your blog plus pay affordable prices and rest leave it to Advertising Team for Promotion & Marketing then see how u enjoy a lots of quality traffic plus good readers to ur blog. 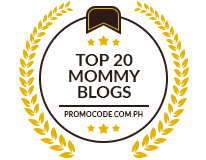 Finally I have bookmarked ur blog & shared with my friends & happy blogging.